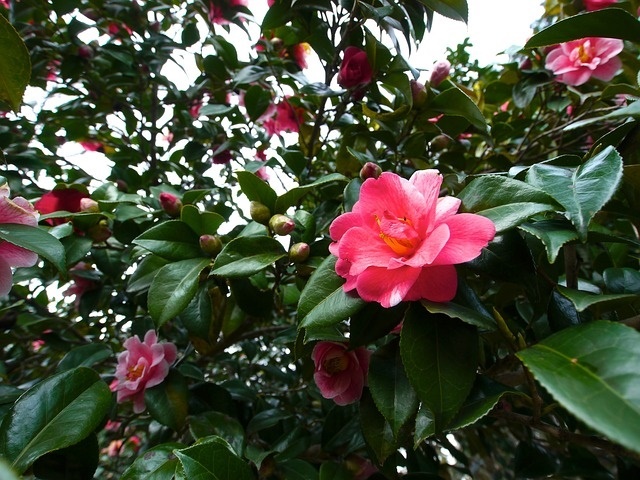 Spring has sprung in Lake Oswego, and I’m not just talking about my camellias. After one of the wettest winters I can remember, it’s nice to see that things are changing and spring is in the air. Here’s proof. The days are getting longer. On April 1st, sunrise was at 6:45 a.m. and sunset at 7:40 p.m., giving us 12 hours and 51 minutes of daylight. By the month’s end, that will increase another hour and 27 minutes and will still be one hour and 27 minutes short of our longest day of the year: June 23 clocking in at 15 hours and 40 minutes. Arbor Week activities are planned for the first week in April. Events include a Barnyard Tales and Heritage Tree Walk at Luscher Farm on April 6 from 10:00 a.m. to 11:00 a.m. , 125 Rosemont Road, (register for #14705), a Heritage Tree Celebration on Friday, April 7 from 12:00 to 1:00 p.m. at Oswego Pioneer Cemetery, 17401 Stafford Road, and a Trees of Lake Oswego themed art contest for grades 1-12. For details contact the Planning Department at 503.635.0290. The Hop at the Hunt is right around the corner on Saturday, April 15 from 11:00 a.m. to 3:00 p.m. This popular event held at the historic equestrian facility features “Hop” the Bunny, “Otis” the pony, the Lake Oswego Fire Truck, police cruiser, pony rides and a treasure hunt for kids in search of 15,000 stuffed eggs. The event is free and while it starts at 11:00, it’s recommended to get there early to find parking. Better yet, try carpooling, walking or riding your bike. 2775 Iron Mountain Boulevard, 503.636.0674. Campfire evenings at Luscher Farm have started up again. The first one is scheduled for Friday, April 21 from 6:00 p.m. to 8:00 p.m. Bring a picnic and explore different family-friendly activities including planting and s’mores. Register online for Class #14706 (April 21) and #14719 (May 19). Cost is $10/resident; $15/non-resident. Check out the list of gardening classes being offered in April as well including one on Raised Beds and Garden Structures (April 15) and the popular Lake Oswego Hanging Baskets (May 6). 125 Rosemont Road, 503. 534.5284. Balloting is open to determine which of this year’s rotating outdoor sculptures will become part of the city’s permanent art collection. Vote for your pick as the 2017 People’s Choice winner. Deadline is April 28. The Arts Council of Lake Oswego will also be hosting “Beaver Tales,” a month-long exhibit of beaver themed art in honor of Oregon’s state animal. Things kick off with a First Friday opening reception on International Beaver Day, Friday, April 7 from 5:00 p.m. to 7:00 p.m. 510 Museum and ARTspace, 520 1st Street, 503.675.3738. The Spring housing market is also heating up so if you want to test the waters to see if now is the right time for you to buy or sell, give me a call at 503.939.9801 and/or check out my website. I’d love to put my 25 plus years of experience as a Realtor in Lake Oswego to work for you. This entry was posted in Seasons in Lake Oswego Oregon, Things to Do in Lake Oswego and tagged Arbor Week, Hop at the Hunt, Lake Oswego Oregon, Lake Oswego Realtor, Spring. Bookmark the permalink.